(P1) Police in Sudan arrested the world’s most wanted person smuggler, Mered Medhanie, 35, from Eritrea. His nickname is ‘The General’ because of the way he plans smuggling. 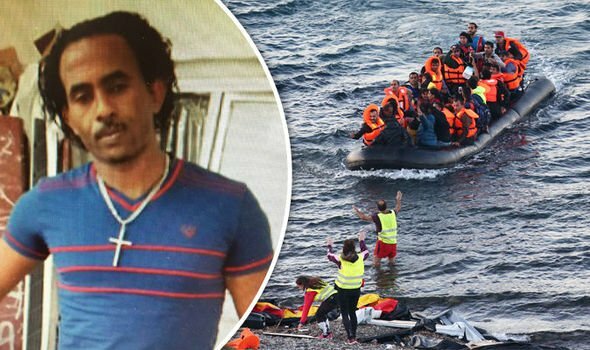 His actions caused hundreds of migrant deaths. Migrants are people trying to go to Europe for a better life. Police found Mered in a secret hideout in Sudan’s capital city Khartoum. They worked with Britain’s National Crime Agency (NCA) and intelligence services. (P2) Mered is now in Italy. He could go to prison for a long time. He smuggled thousands of migrants from Africa and the Middle East to Europe. His price was up to $5,500 per person for the dangerous journey. The NCA said Mered was a high-level human trafficker who did not care about people’s lives. Italian police said Mered wanted to make a huge amount of money from his activities. His plan was to move to Sweden, where his wife lives. Do you have a nickname? If so, what is it and why do people call you that name? Should Mered Medhanie go to prison for a long time? Why or why not? Why do some people treat other people bad? What other name was given to Medhanie?